Our shop in Oxnard uses the latest diagnostic technology to get your BMW, Mercedes Benz, Mini Cooper or Volvo on the road safely and quickly. Whatever your auto repair or auto maintenance needs, look no further than Dieter's Import Motors, get in touch with us today! 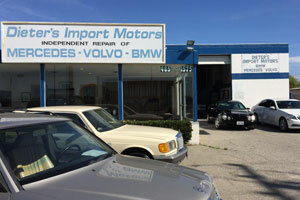 Dieter's Import Motors is a full-service auto repair shop and service center, proudly serving the Ventura County area since 1972. Located in Oxnard, California, our goal is to provide our customers with honest, quality service in a timely manner. Dieter's Import Motors has been family owned and operated since 1972, with trained and experienced ASE certified technicians. We ensure the very best craftsmanship and customer service, we take pride in all our work and back our repairs with warranties! Dieter's Import Motors is committed to maintaining a highly ethical and sound business practice in order to meet and exceed our customer’s needs in general auto repair. We believe our customer’s needs and satisfaction comes first. Visit our Oxnard location today! “My 2005 Bmw 325i crank but not start and I towed to them. They are recommended by surrounding garage as the best expert on BMW. The owner Mr Lother very quickly found out it is the fuel pump problem and it is a SULEV model that fuel pump embedded inside fuel tank. Mr. Lother waived the diagnostic fee and searched database found the SULEV system has 15 year/150k mile warranty. He recommended me to go to dealer for the warranty fix. 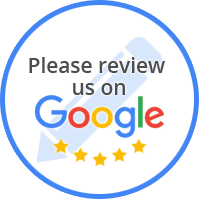 “-I've been going to Dieters Imports over 28 yrs.This is a family business-I would never go Anywhere else.I have always been treated with Complete Honesty-If they can't find the problem,They go the extra mile until they find it and DO NOT CHARGE ME EVER!! For the extra time,spent.They pay attention to Detail,and if something breaks on their error-They Never Charged Me-They are one of those long time Hidden gems,As Hewell Houser would always say...Remember you get what you pay for!! “I have known Lothar for a number of years. Lothar once told me that his Dad told him early on, that anything you do, is to be done right the first time. (paraphrasing) And Lothar seems to do just that. I've never had one issue with any car I've ever taken to him.